A powerful and dynamic work, this vintage carpet features a clockwise swirl of yellow set against a complex pattern of eccentric swaths of color. Vintage Round Swedish Rya Rug, Origin: Scandinavia, Circa: Mid-Twentieth Century – Here is a unique and exciting vintage carpet – a vintage Swedish Rya rug that was woven in Scandinavia during the middle years of the twentieth century. A powerful and dynamic work, this vintage carpet features a clockwise swirl of yellow set against a complex pattern of eccentric swaths of color. 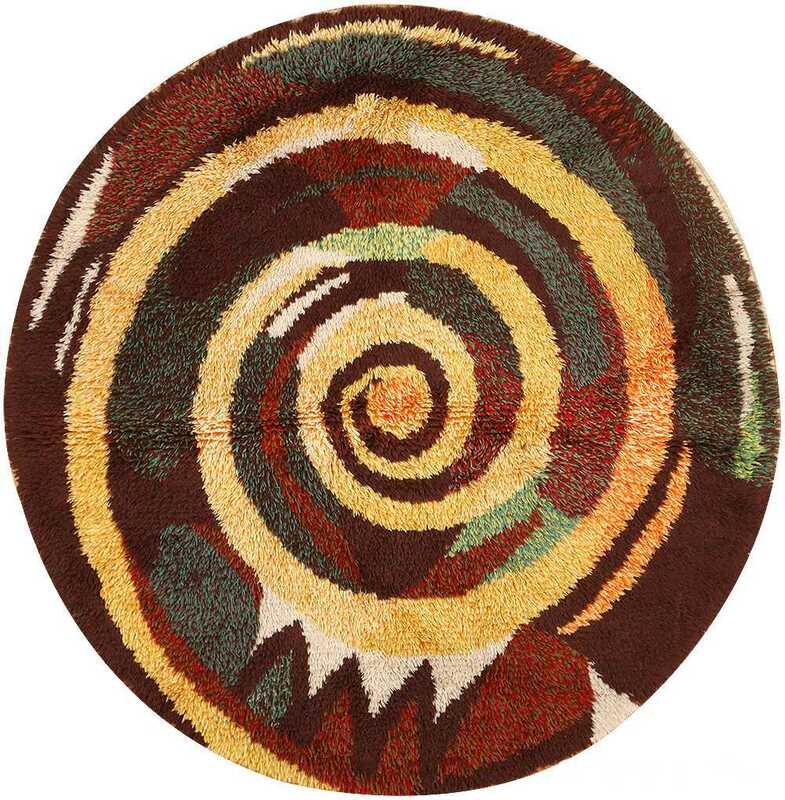 The prominence of the large clockwise swirl of yellow gives this Swedish carpet an intriguing dynamic, wherein this solid swirl of color seems to be locked in a dance with the rest of the carpet – in between the circuitous looping of the yellow is the rest of the carpet, which has been rendered into a similar shape by virtue of the round format of the piece. 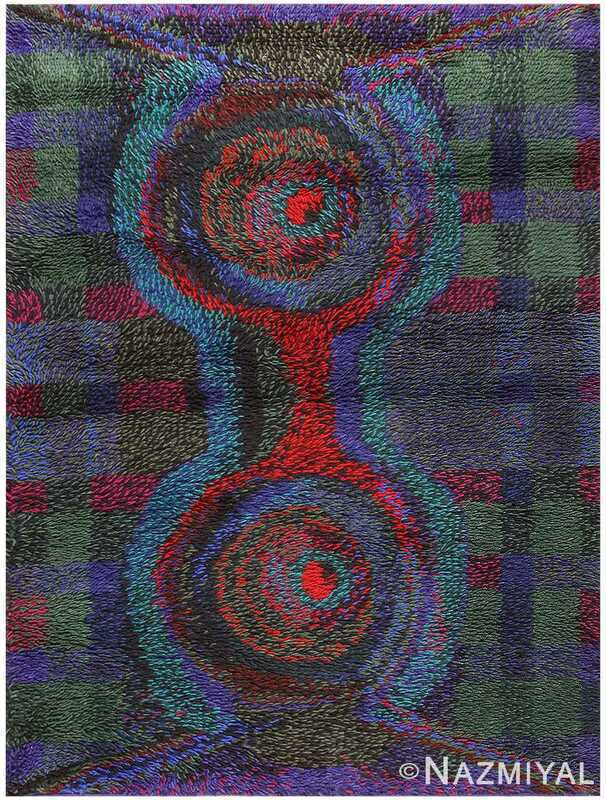 Within this motley colored and complex swirl shapes of green and and red and brown and ivory joust with one another for prominence, with the ensuing struggle lending the carpet much of its unique beauty. 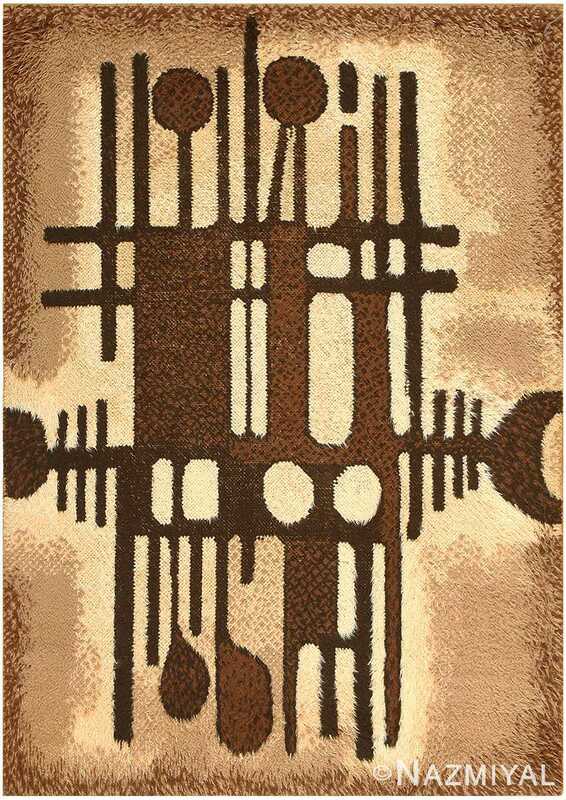 An intriguing work of art that is certainly unique among vintage Scandinavian carpets, this mid-century rug is an exciting and dynamic example. 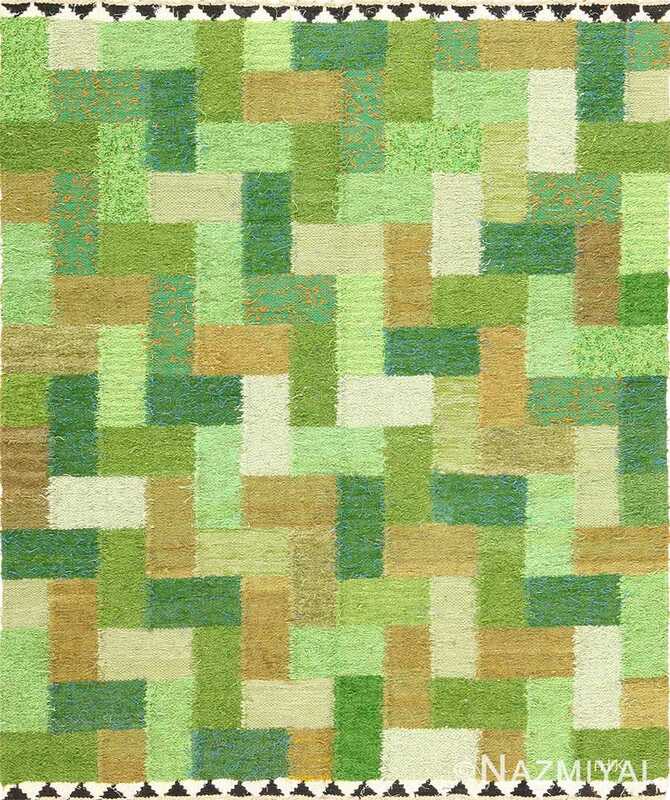 Boasting a fascinating color pallet and a compelling design, this Scandinavian rug exemplifies the possibilities inherent in modernist experimentation.